NGPriest: Maplemas Surprise Party Event! Christmas is a time for parties and nothing beats attending a dress-up party organized by Santa himself! To get the best party suits in town, look out for Grandpa Cliff before you hit the party! 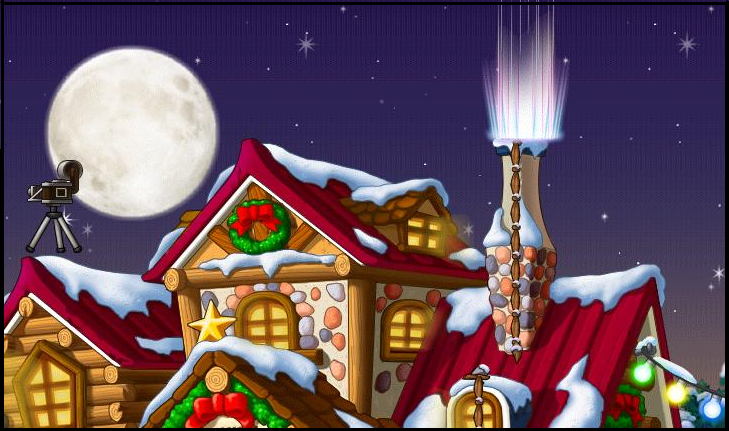 from all monsters to exchange for 3 transformation potions and you will be ready to enter the surprise party ground through the tallest chimney you can find in Happyville. Be sure to check out what presents the “stand-in” Santa has in his Red Sack! Double-click on this to transform a character of your choice into a random look! 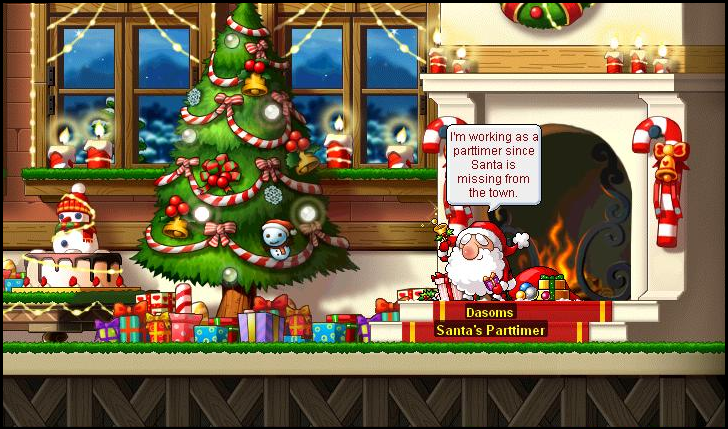 Exchange for this item with 10 Rascal Snowpieces and 150 mesos. Golden warm scarf decorated with brown stars. Add +2 stat points to STR, DEX, INT & LUK. Exchange with 1000 Rascal Snowpieces and 1000 mesos. A chair made out of Ice Queen’s ice pieces. Sit on it to recover 40HP and 30MP per 10 seconds. Exchange with 2000 Rascal Snowpieces and 1000 mesos. Crispy on the outside, marshmallow-soft on the inside. This cookie can be traced from afar by its sweet smell. Add +20 to weapon & magic attack for 30 minutes. Exchange for this item with 300 Rascal Snowpiece and 500 mesos. Made out of fresh vegetable. Recovers 200MP. Purchase this item with 320 mesos. A cake full of sweetness. Recovers 100 for both HP and MP. Purchase this item with 220 mesos. A freshly-baked pizza. Recovers 400HP. Purchase this item with 350 mesos. A steaming hot bun. It makes you feel warmer and prevents HP from dropping for 30 minutes when in El Nath area. Purchase this item with 2300 mesos.